Al Qaeda's new leader is known mostly for his organizational and tactical cunning, but he's fueled by a deep hatred for the United States and the West, an anger made more personal by the deaths of his wife and two children in a U.S. airstrike following the 2001 U.S. invasion of Afghanistan after the 9/11 attacks. Ayman al-Zawahiri, who was officially announced as the successor to Osama bin Laden, is the son of an upper middle class Egyptian family of doctors and scholars. A surgeon by training, his father was a pharmacology professor at Cairo University's medical school and his grandfather was the grand imam of Al-Azhar University, Sunni Islam's formal seat of learning. At the age of 15, he founded his first underground cell of high school students to oppose the Egyptian government. He continued his militant activities while earning his medical degree, later merging his cell with other militants to form Islamic Jihad. Al-Zawahiri, who turns 60 on Sunday and has a $25 million bounty on his head, served three years in an Egyptian prison before heading to Afghanistan in 1984 to fight the Soviets, where he linked up with bin Laden. Al-Zawahiri later followed bin Laden to Sudan and then back to Afghanistan, where they found a safe haven under the radical Taliban regime. Soon after came the 1998 bombings of the U.S. embassies in Africa, followed by the 2000 suicide bombing of the USS Cole off the coast of Yemen, an attack al-Zawahiri is believed to have helped organize. In a 2001 treatise, he set down the long-term strategy for the jihadi movement  to inflict "as many casualties as possible" on the Americans. "Pursuing the Americans and Jews is not an impossible task," he wrote. "Killing them is not impossible, whether by a bullet, a knife stab, a bomb or a strike with an iron bar." The deaths of his wife and two of their six children in a U.S. airstrike has fanned the flames of his anti-American zeal. Al-Zawahiri has worked in the years since to rebuild the organization's leadership in the Afghan-Pakistan border. Al Qaeda has inspired or had a direct hand in attacks in North Africa, Saudi Arabia, Yemen, Pakistan, the 2004 train bombings in Madrid and the 2005 transit bombings in London. The CIA came close to capturing him in 2003 and killing him in 2004  both times in Pakistan. In December 2009, they thought they were again close only to be tricked by a double agent who blew himself up, killing seven agency employees and wounding six more in Khost, Afghanistan. Al-Zawahiri has been in hiding for nearly 10 years and is widely believed to be near the Pakistan-Afghanistan border. He has appeared in dozens of videos and audiotapes in recent years, increasingly becoming the face of al Qaeda as bin Laden kept a lower profile. Most of his pronouncements on the videos and audiotapes show him to be a man consumed by deep hatred for the West, particularly the United States, and Israel. 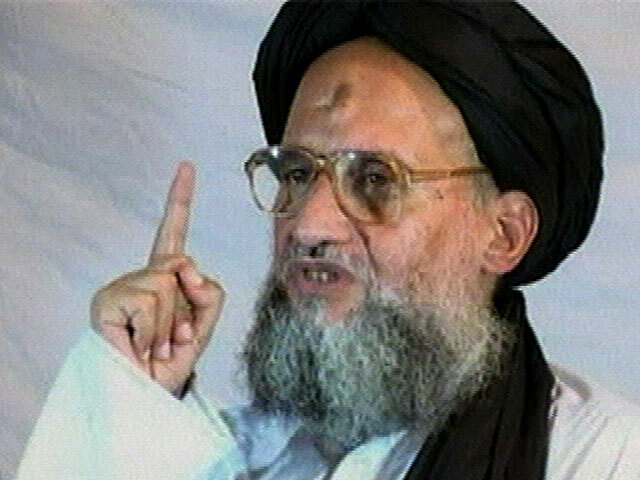 Al-Zawahiri had been considered the most likely successor because of his longtime collaboration with bin Laden. Analysts had said that few were likely to challenge the al Qaeda deputy leader for the top spot despite some reservations. Many predicted he would step up attacks to prove himself. But while his ascendancy to the top of al Qaeda is official, U.S. intelligence officials have said that some members of the militant group find al-Zawahiri to be a controlling micromanager who lacks bin Laden's populist appeal. A senior Obama administration official also downplayed al-Zawahiri's selection, telling CBS News that his lack of combat experience will make it difficult to replace bin Laden's as al Qaeda's top commander and inspirational leader. Indeed, it would be difficult for anyone to lead the militant group as it continues to lose key members responsible for planning and executing attacks, the official noted. He comes to power at a time the terror network is struggling for relevance amid a wave of Arab uprisings that has threatened to upstage it.